March 30, 2019 By Goodall Staff - s.h. With room for up to five adults, the Cambria™ spa maximizes comfort and hydrotherapy through seats thoughtfully designed around people. 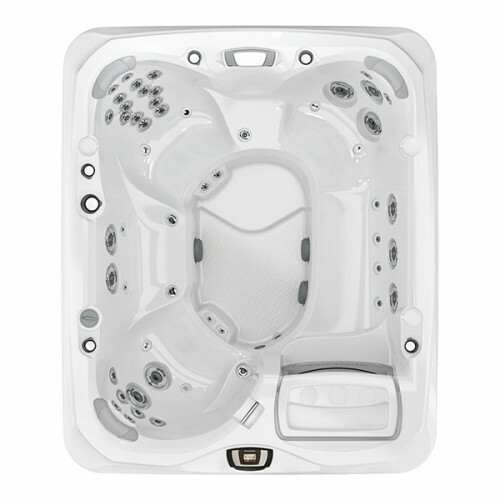 This 880™ Series model has the best of everything and more, including a unique bench seat, a dual-purpose beverage concierge filter lid, and a low profile and grab bars that make it easy for everyone in your family to use this spa. 5 Years Equipment and Controls: Sundance® Spas warrants the spa’s electrical equipment components specifically limited to the pumps, heater, and control system against malfunctions due to defects in workmanship or materials.